Surrender at 20: Red Post Collection: On Vastayan Evolution, Xayah & Rakan price reduction, Worldbuilding in LoL, & more! Tonight's red post collection includes a new /dev on the Vastayan Evolution, Ryze with a new video on worldbuilding in LoL, the post release price reduction for Xayah and Rakan, MSI 2017 team info, & more! Red Post Collection: Meddler gameplay thoughts 4/25, Legacy Client Retires on NA, Vastaya F2P Rotation Update, and more! 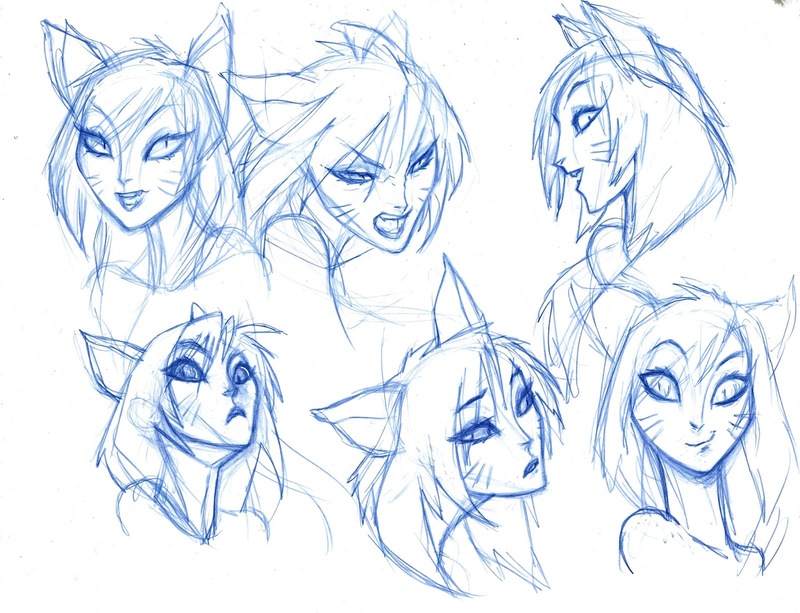 "When we kicked off development for Xayah and Rakan, we looked over our champion roster and quickly realized we hadn’t done any animal-influenced humanoids in a while. But, despite the number of these creatures already present in League, we also didn’t even have a name for that sort of thing. Every champion team, which we refer to internally as a “pod,” has a Narrative discipline member. And part of that team member’s function is figuring out the new champ’s theme and how they fit into Runeterra. When creating a non-human character, there’s an additional question: How does this creature, specifically, fit into the world? Figuring out what this race was soon became a major question for Narrative writer Matt “FauxSchizzle” Dunn and myself. Raising the stakes, early in production our product owner became excited by the prospect that Xayah and Rakan’s race could help explain some of our earlier champions (including Ahri, Wukong, Rengar, and others) to give those older champs a clearer place in the modernized Runeterran world. This seemed like a great idea and an easy fix…well, until we sat down to do it. Ahri, Wukong, Rengar? Obviously, they have classical real-world myths they relate to—but what exactly are they, and what are they in Runeterra? And how do we “change” them without destroying what players already love about them? Research is always the first step. We started by looking at player perception of these champions, the myths the champs related to, their old lore, and their visuals. Quickly we found five common themes. One, the “beastman” champs were usually from a borderland, often just beyond the areas of civilization. Two, many had the potential to have changed shape or manipulated their appearance because of magic. Three, they usually had some sort of innate magical power. Four, most seemed to have a “natural form” of magic. 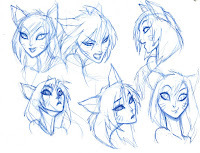 And five, Ahri, and others, were from Ionia—or at least had elements in their lore that could be perceived as Ionian. So what logic supports the existence of a group of shapeshifting, humanoid-chimeric, Ionian-based, natural magic using creatures? Going back to Tahm Kench, we had been working with the notion that part of Runeterra’s magic related to the spirit world seen in Shen’s lore. This was a mirror world where the spirit of every living thing and every of type of thing exists. The souls of every person, the spirit of animals, the essences of species and of locations, elements, and even ideas exist in that dimension as powerful forces, which interact and create a type of magic in Runeterra. Furthermore, we knew the spirits from this place were not truly restricted in form. Tahm Kench and Kindred are not of our world—their appearances in the material realm are illusionary. They are creatures of pure magic who manifest under specific rules, but do not have a true shape or physical body like we do. Matt and I checked over with Anthony “Ant in Oz” Lenné and the Worldbuilding team, who helped a lot with two key concepts. Firstly, Anthony was working on early development for magic in Runeterra, including the notion that it could possibly flow like rivers from a series of portals. These streams of magic (or ley-lines) then trace across the planet, intersecting and mixing. It was a great piece of worldbuilding because that single, simple rule could allow a lot of complexity to spring from it. Areas near a portal would have access to a massive amount of a particular type of magic, but little variety, while other regions at the intersections between different streams would have their own curious forms of magic. Other regions located far from the streams could be nearly barren of magic. Although this was just a work in progress, it inspired us to think more specifically about what this concept of magic could become. There was also the idea that some of the most powerful magical “springs” sprang from Ionia’s highlands. Thus it seemed obvious that Ionia could be an abundant source of this type of “natural magic” which flowed from Shen’s spirit world and into the material plane. If creatures like Ahri, Xayah, and Rakan were from Ionia, then it was likely they had a deeper connection to this particular magic—and thus a deeper connection to that natural spirit world. This gave us a couple of solutions. We already knew magical places like Icathia were ravaged and changed by magic—we could now presume that Ionia had its own border with a slightly less dangerous magical realm. 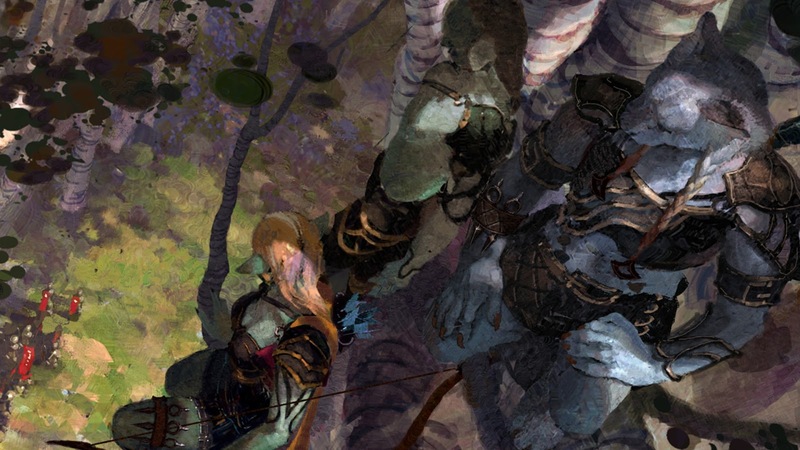 As the art developed, it seemed like our creatures were thematically someplace between elves and satyrs. They were a half-fey race—which contained features from three creatures (human, avian and canid) and came from the borders of Ionia to this magical spirit world. But if these creatures weren’t just magic spirits and they weren’t just humans with Star Trek ears, wouldn’t there be a missing link between the creatures of that world and ours? One of the problems in creating a new race is evolution. It’s a fundamental concept and a subconscious lens we (as media consumers) use to see any organized worldbuilding. It’s easy to ignore it with creatures that are supposed to be purely magical (like demons and ghosts) but it’s hard to ignore the illogic of some classic monsters and races that are supposed to be physical creatures that developed within that world. Many IPs simply avoid these questions or resort to a simple Deus Ex Machina (uh… Titans made them!) Both of those solutions seemed like cop-outs, and if we want League’s lore to be taken seriously, we needed to approach it seriously. But what if we could get evolution to work for us instead? 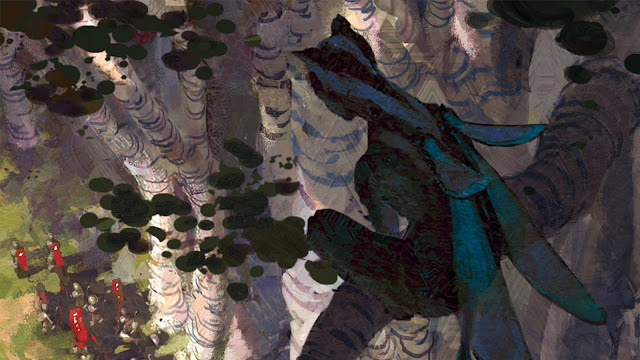 What if magic was a resource (like water) and its scarcity or abundance affected evolution? Could that also explain why a shape-shifter is a shape-shifter? A variety of ideas began to develop, but one took hold as useful for development. If we could assume there were permeable borders between the material world of Runeterra and the natural spirit world, then it’s likely creatures would evolve who could flourish in both realms. These creatures’ souls would have to be more fluid and changeable than ours—they would need to be able to absorb and merge with other magical spirits to survive for any extended periods near the spirit worlds. Yet they would also need a real physical form to survive times when they were in our world. These things would be as foreign to us as the deep-sea jellyfish or the giant tubeworms from the pelagic zone. They were the “proto-vastaya,” or what the Worldbuilding team would come to call the vastayashai’rei. This ancient race of true shape-shifters uniquely adapted to this dangerously strange environment. Suddenly we had an explanation for a metric ton of classic, weird monsters. Unintelligent animals could become or evolve into griffons, and other chimeric creatures, as their physical form was affected by their access to magical energy, and different spirit animal magics would begin to change it—and its progeny’s—form. Similarly, the vastayashai’rei contact with humans would change them. Those human souls could become connected to animal spirits and this natural magic. The descendants of the original humans who had contact with the vastayashai’rei would become the various tribes of our bipedal, chimeric shape-shifters…who would later call themselves the vastaya…"
For more, check out the recently released stories for Ahri, Nami, Rengar, and Wukong! "Ryze talks about the history of worldbuilding at Riot. Also, where’s the League of Legends movie!? 5:06 - Why isn’t there a League of Legends movie? 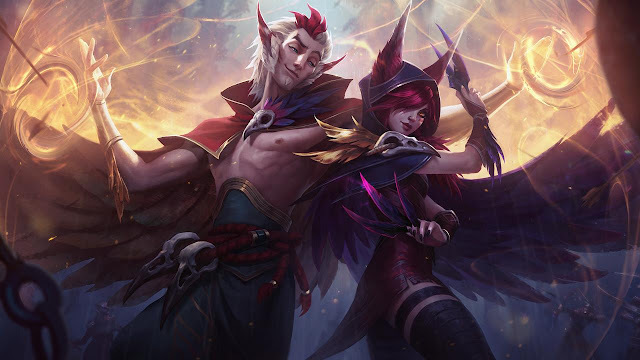 League of Legends Editorial Blog: http://nexus.leagueoflegends.com/ League of Legends Universe Site: http://universe.leagueoflegends.com"
It's been a week since release and Xayah and Rakan are now priced at 6300 IP! 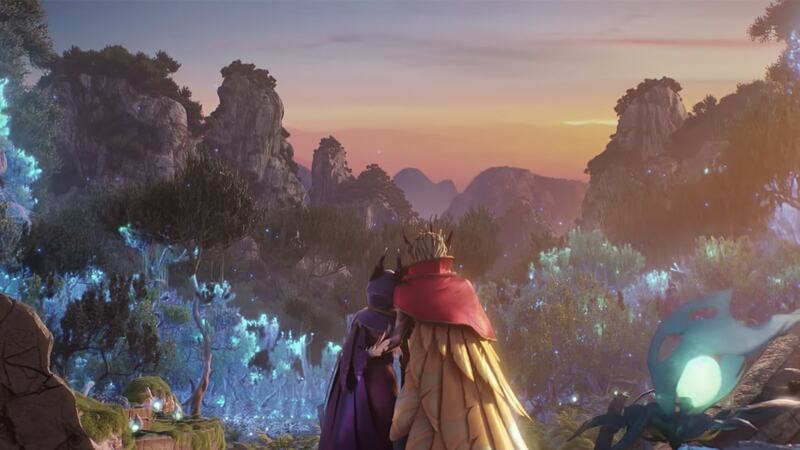 As a friendly reminder, both Syndra and Rengar were reduced from 6300 IP to 4800 IP with the release of Rakan and Xayah. The problem was that the Legacy client wasn't retired yet, now that it is, they can implement it. Correct. Path to 10 bans in regular games should be fairly quick now, barring any unforeseen issues." 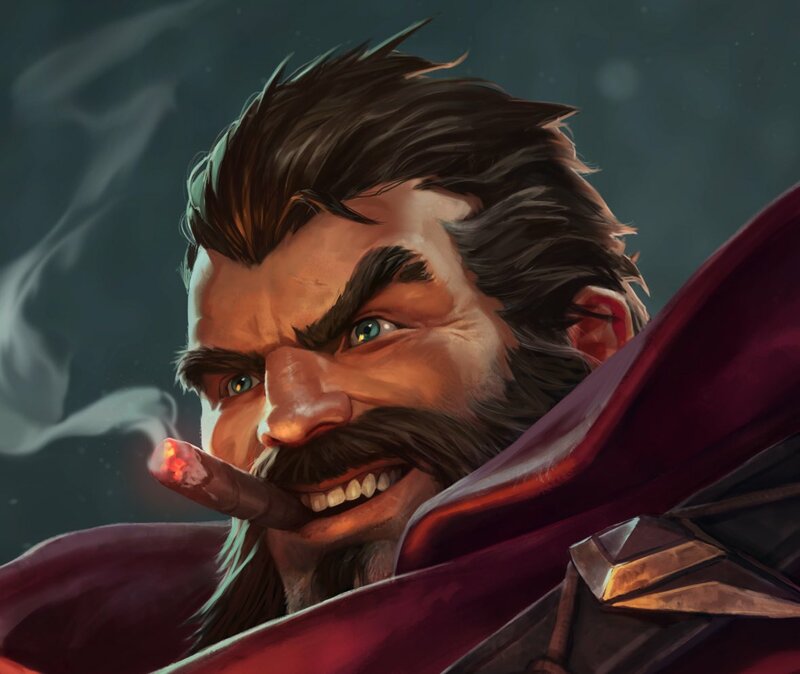 "Lee Sin and Graves are definitely on our radar. 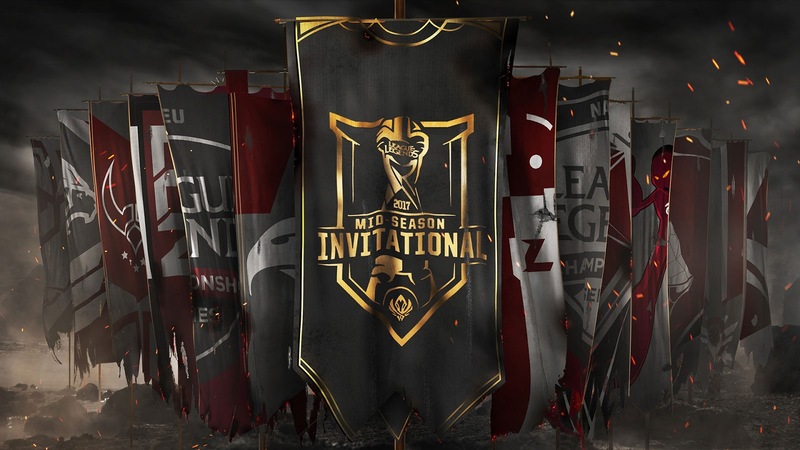 In the upcoming mid-season patch, we will be releasing 3 updated tank junglers and a whole set of item updates which will have an impact on the current meta. 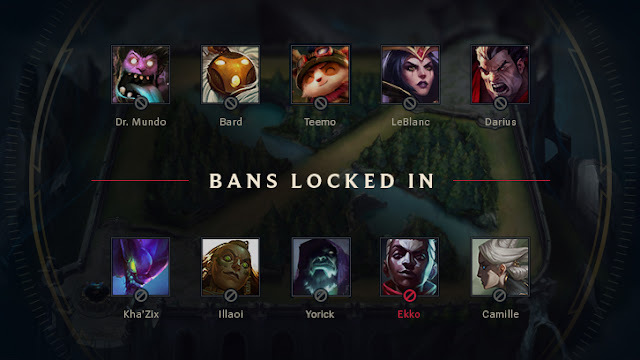 We plan on evaluating potential changes from this new world rather than making changes now that might be incorrect once the mid-season meta settles." 3) Here are previews of the upcoming Ezreal Nendoroid. This figure will first be released in KR and available globally at a later date. 4) Results are in for OCE's FanFic contest - check out he full post to see player created stories! 5) On April 26th, Marc "Tryndamere" Merill mysteriously tweeted a picture of Graves with his cigar. The message simply read "<3".